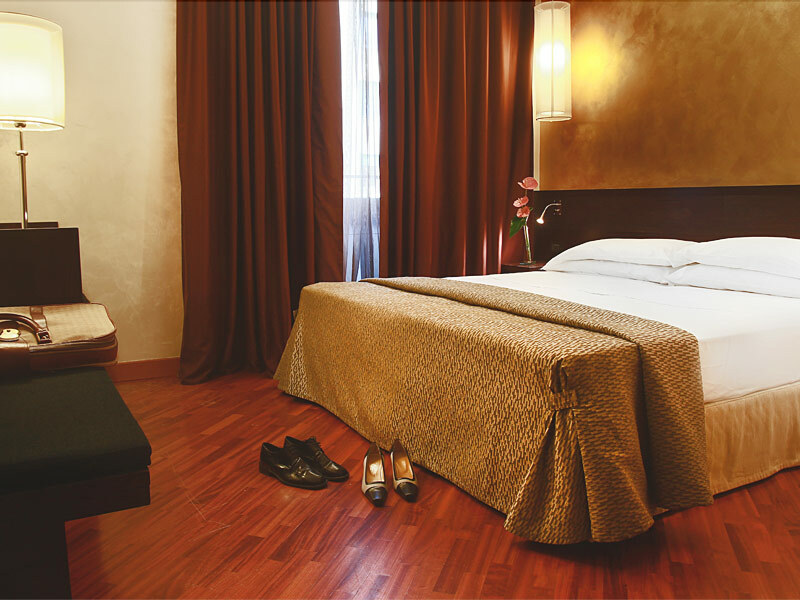 38 rooms and 5 types available for an unforgettable stay in Rome. Warm colors, essential lines and contemporary design. For your business travel try the comfort of a one and a half twin bed. Desk and free Wi-Fi access. Balcony and private bathroom with shower. 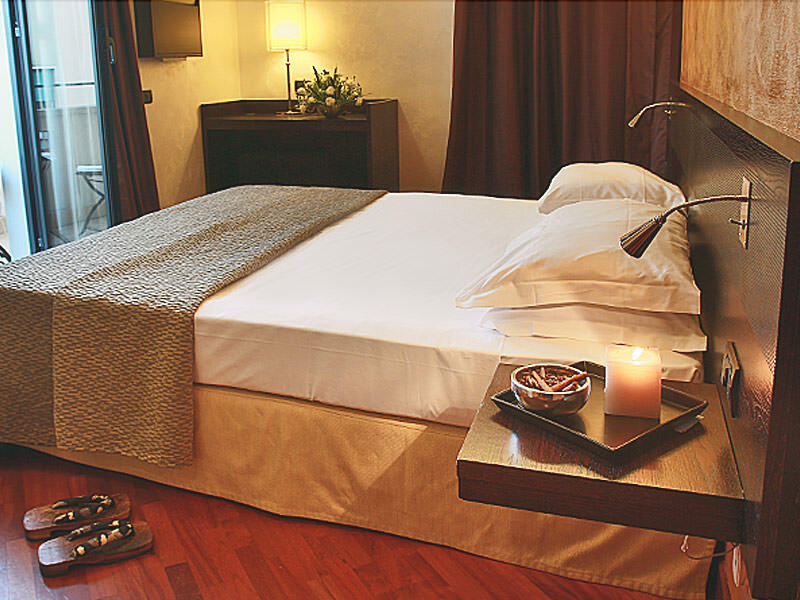 Excellent for couples: choose queen-size (double bed) or two single beds, bathroom with shower or tub. Also for disabled people. Try it also for single use: exclusive offer. Traveling with friends: double or queen bed. Balcony where smoking is allowed and for your dog. Bathroom with shower or bathtub. Spacious: double space divided by a sliding door, bathroom with bathtub and window. Share it with who you like. Sky and comfort. Perfect for your family: double separate areas, 1 bathroom with shower and 1 bathroom with hydromassage tub. Balcony and relax.